@j_rake It's the constant battle with trends. Bigger sample size = good. Bigger sample size often equals change. That balancing act is key. @RobertMusallam Always want the most applicable games possible in the sample. Last 18 times the #Cowboys won a game: 4-14 ATS the next game. 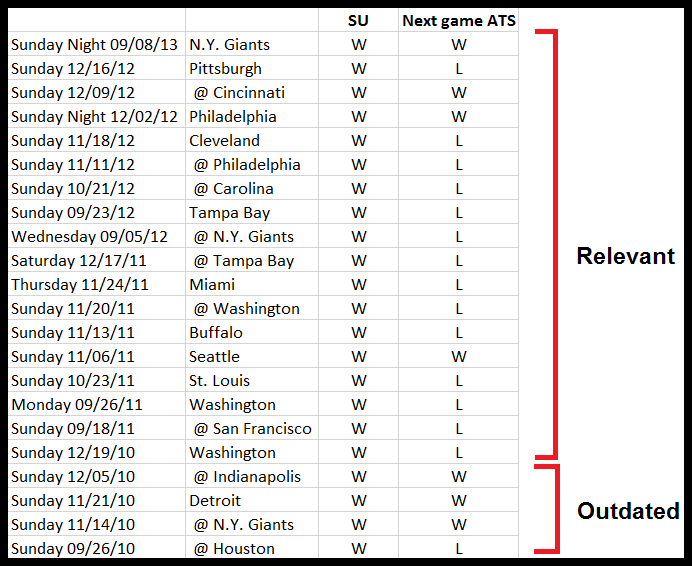 Week 15 of the 2010 season is an applicable data point, while Week 13 of the 2010 season is not, because of course. Although the "outdated" sample isn't as extreme, this one may be even funnier. Bell could easily use the full season of data and the trend would still be an "impressive" 13-4 ATS, which he could argue was the "most applicable" sample. 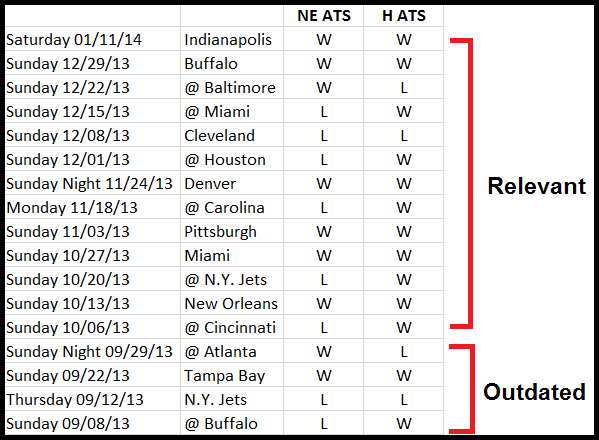 But he just doesn't care, and the last 13 games make up the most eye-popping record, so the last 13 games are what he uses. Pro bettors are starting to suspect that Bye weeks are over-vauled under new practice rules. 36% ATS w/small sample this yr.
Lots of talk about new practice rules and NFL byes. 8-9-1 ATS (ho-hum) but bye teams have gone UNDER the total 14 of 18! Sharing a noteworthy game trend does NOT mean I'm betting that team. In fact, there will often be noteworthy trends on both teams in a game. @locher27 Every game has noteworthy trends on both sides - their NET effect, plus many other factors dictate which side the sharps are on. This information isn't useful in any way, no matter how well you parse it. Bell only tweets out trends because it's the National Football League™, and he knows people will eat up any NFL information relating to gambling. Which would be annoying enough if he didn't act like he was performing a public service by sharing this info (at no cost to you! ), rather than just, as always, serving himself. I'm enjoying this series very much, albeit years later. Good stuff.